The car crashed and one man was arrested following the chase. GARDAÍ PURSUED A car that was going the wrong way on the Galway to Dublin dual carriageway earlier today. During the pursuit, the car crashed – it is believed into a ditch – after the driver lost control of the vehicle. The incident took place after 1pm this afternoon. 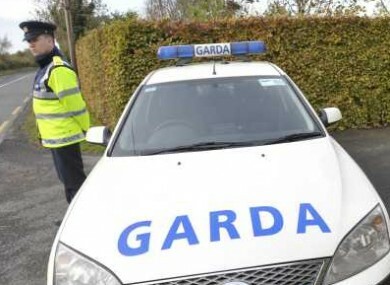 Gardaí told TheJournal.ie that after the car crashed, the driver took off on foot and was pursued by police. A male was arrested by gardaí and is currently being questioned. RTÉ reports that car was travelling west at the time and in the wrong direction up the motorway. Email “Garda car chase in Athlone ”. Feedback on “Garda car chase in Athlone ”.